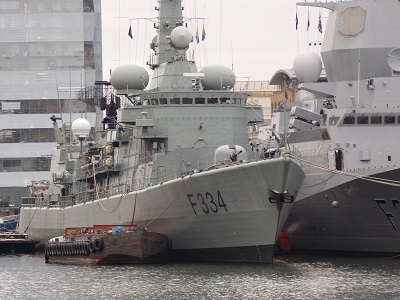 Portuguese Navy ship NRP Francisco de Almeida and Norwegian Navy ship HNoMS Otto Sverdrup in West India Dock. 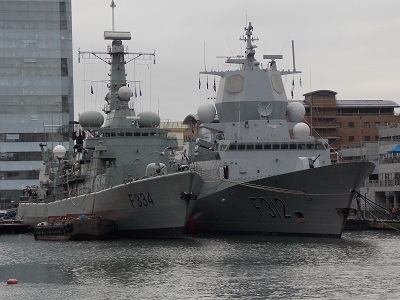 Two new arrivals in West India Dock are the Portuguese Navy ship NRP Francisco de Almeida (F334) and Norwegian Navy ship HNoMS Otto Sverdrup (F312). 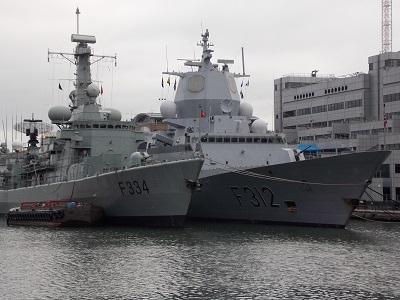 Both ships are part of the NATO’s standing maritime group 1 (SNMG1) which has been carrying out operations in the North and Baltic Sea. NRP Francisco de Almeida is a former Karel Doorman frigate that Portugal bought from the Netherlands. 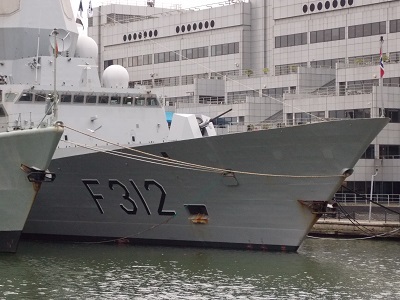 The ship was previously the HNLMS Van Galen and was renamed to NRP Francisco de Almeida in 2010. 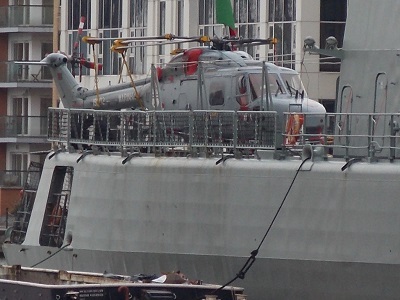 The 122 meter frigate has a crew of around 180 and includes a Lynx helicopter on board. 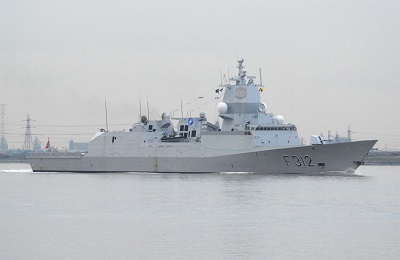 The HNoMS Otto Sverdrup is a Fridtjof Nansen-class frigate, the ships are named after famous Norwegian explorers. 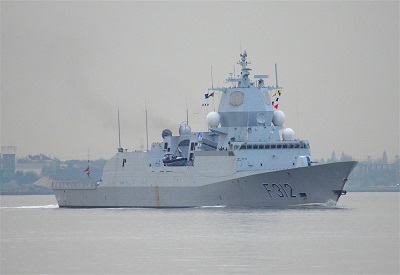 The Otto Sverdrup was one of five ships ordered from Spanish shipbuilder Navantia and was launched in 2006. The ship is 440 feet (134.11 metres) long and carries a crew of around 120. The main mission of the frigates is anti-submarine warfare and the ships are equipped to detect, identify and engage hostile submarines. 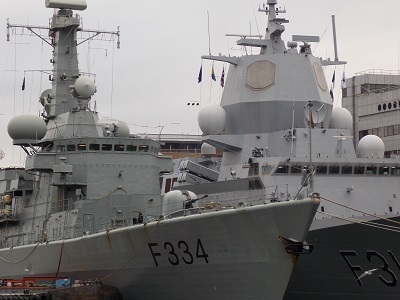 The ships involved in NATO’s standing maritime group 1 (SNMG1) are regular visitors to West India Dock, although I am not sure these particular ships have visited before. As usual with these type of naval ships, how long they are in dock is not known at this time. Photographer Fraser Gray sent a couple of photographs of the HNoMS Otto Sverdrup heading back to sea.